When a Saving for Change group in Darfur, Sudan, gathers for a meeting, it is hard to remember there are gunmen nearby. 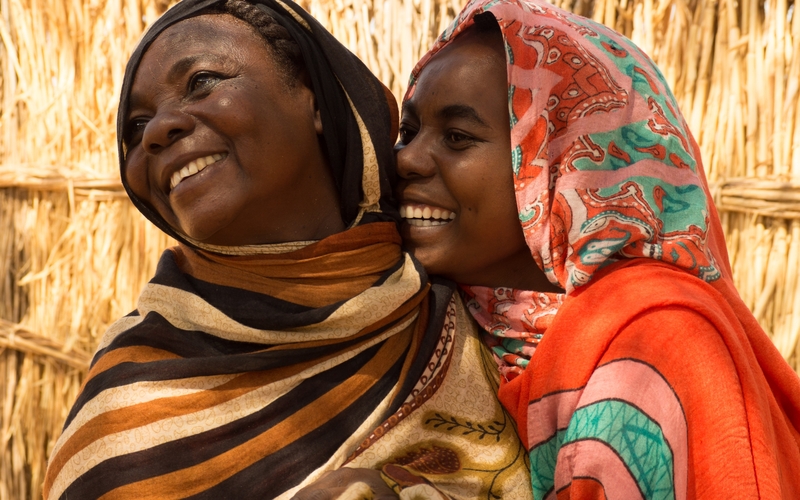 Listening to the laughter and easy conversation, you might forget that each of these women and every member of her family lives under threat of hunger, disease, violence, and untimely death. You may find yourself wishing you lived there with them, just to be part of such a group—to know that, no matter what you were going through, a lively gang of women would have your back. 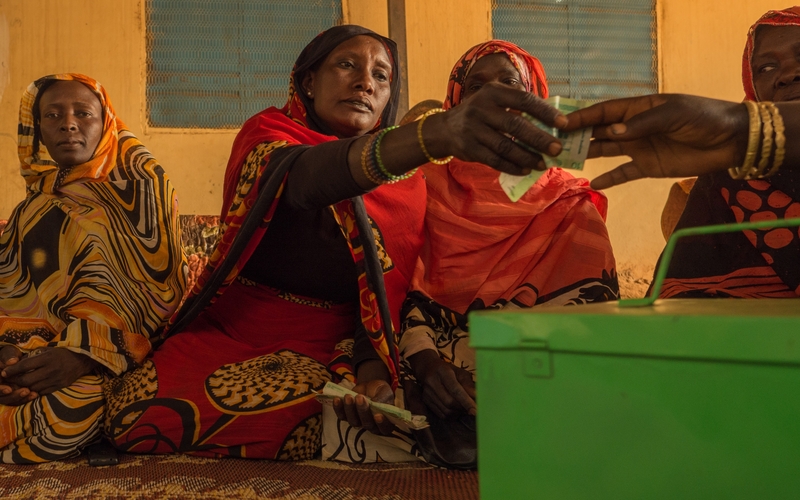 Saving for Change, a program that Oxfam and partners have launched in North and South Darfur, trains groups of women to save money in weekly increments, pool their resources, and invest in one another’s small businesses. Members take out small loans to buy livestock, or goods to sell in the market, or whatever else they think of to generate an income, paying back the money on terms that the group itself has set. 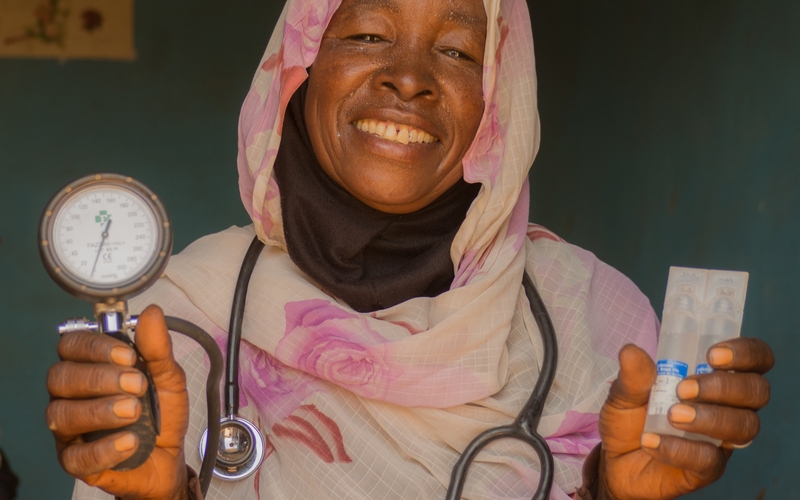 “The Saving for Change group enables us to pay school fees, and buy healthy food and medicines for our children,” says Kubra Ahmed, the president of a savings group in Golo, a village in North Darfur. But that’s only the beginning. Becoming a successful breadwinner and an active member of a lending institution can change the way a woman feels about herself. It’s that sense of family that is so striking at Saving for Change meetings. The women are at ease, expertly carrying out financial transactions, chatting and joking, and sometimes singing and dancing. They have helped each other through crises, worked side by side on community projects, entrusted each other with their life savings, and celebrated each other’s successes. With their own hands, they have woven a safety net for themselves and their families, and they couldn’t be prouder or happier about it. Egbal Adam is a widow and single mother. 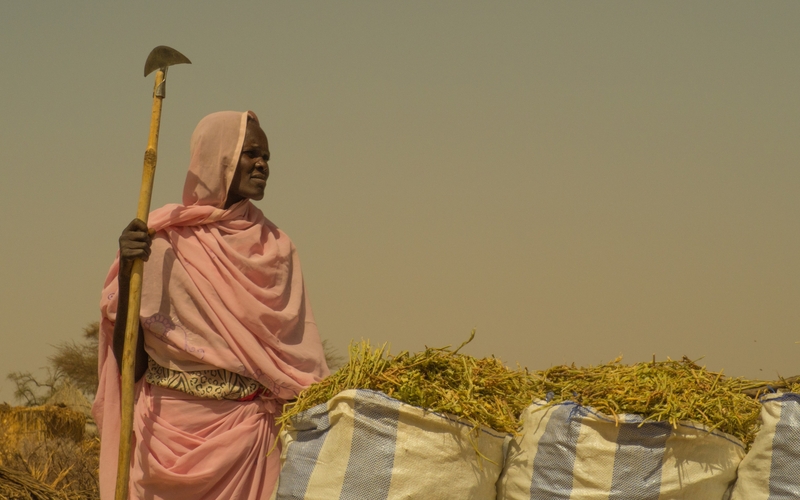 With an initial loan of 1,000 Sudanese pounds (around $150), she became a vegetable trader. She buys produce from local farmers and sells it six miles away in the capital city of El Fasher. 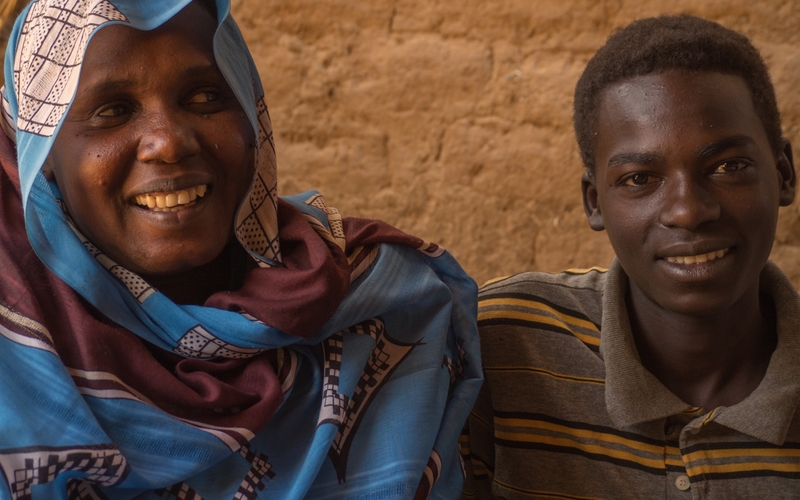 The profits have enabled her to send one child to university; her second eldest son, Hamza Moustafa (right), will enter college next year. Raja Khalil (right) from Oxfam partner Volunteer Network for Rural Helping and Development takes part in singing and dancing with a Saving for Change group in Golo village. 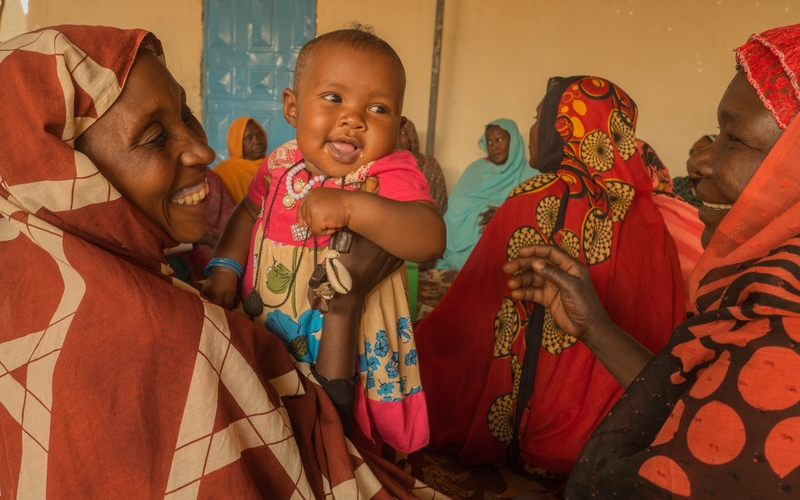 In conflict-affected regions of the world, lives depend on trusting relationships between communities and aid providers. 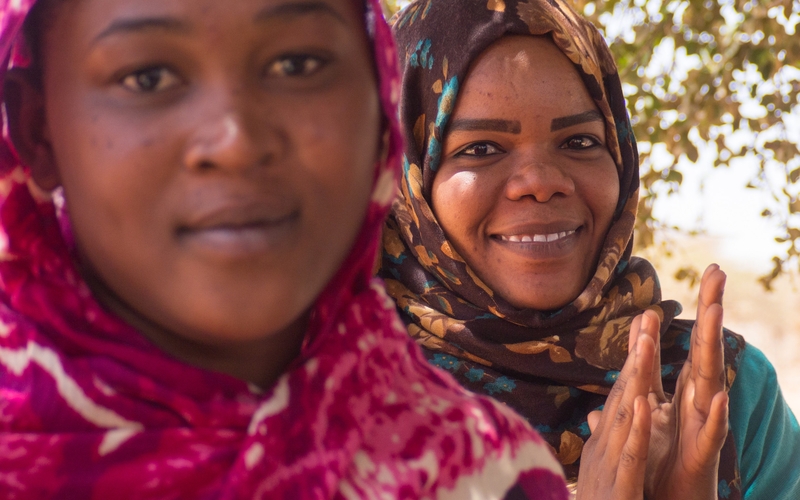 Oxfam is committed to supporting and strengthening local humanitarian organizations because they can quickly reach communities in need—and because they are deeply connected to the people they aim to assist.